Does a Solid Top Matter? Once you’ve determined what size and type of guitar you’d like, there are several construction and design elements you should examine regardless of whether you’re shopping for steel or nylon. Nothing has as much impact on the sound of a guitar as its top (also called the soundboard). Most experienced players insist on a guitar with a solid top, as opposed to one with a laminated, or plywood, top. Tops built of solid wood are generally able to vibrate more freely and produce a richer sound. The sound of a solid-top guitar also tends to improve with age, while a laminate-top guitar’s sound is unlikely to change much over the years. If you’re unsure whether a guitar has a solid top or not, take a look at the edge of the soundhole. With most laminated tops, you can see the individual layers of wood, while a solid top will display the grain running all the way through. Don’t confuse a seam in the center of the top as a sign of laminated wood. The tops of all quality guitars (whether solid or laminated) are made of book-matched wood, which means that the wood is split into two halves that are then glued together so that the two sides mirror each other. Most steel-string guitars feature spruce tops, but you might encounter cedar tops and, less frequently, mahogany or koa. Tops on nylon-string guitars are either spruce or cedar. The back and sides of a guitar also contribute to the sound of the instrument, but to a lesser degree than the top. If you’re shopping in the lower price regions, you’re most likely to encounter guitars with laminated backs and sides. Mahogany and rosewood are popular choices for both steel- and nylon-strings, but you might also see maple as well as more unusual species such as nato (Asian mahogany), sapele (African mahogany), or ovangkol. If you’d like to step up to a guitar built of all solid woods, you’ll probably have to spend a minimum of $500–$600. Larrivée’s 03 series and Martin’s 15 series are excellent choices in this price range. Ovation guitars are famous for their plastic, bowl-shaped backs. Although some of the company’s models are quite expensive, the entry-level Celebrity line is an affordable choice for many beginners. On the nylon-string side, many of the Spanish-made instruments feature solid woods even in the lower price regions. 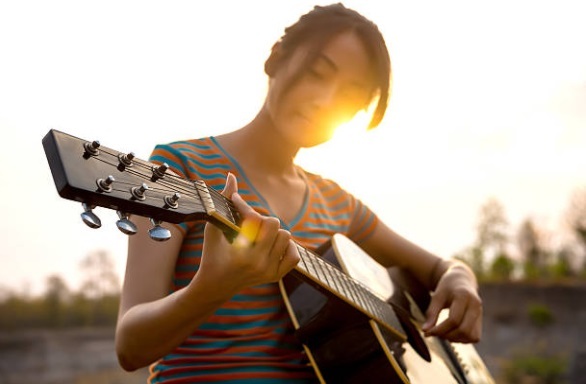 Most guitar necks are made out of mahogany, although maple is an increasingly popular alternative, and many nylon-string guitars have cedar necks. Traditionally, a steel-string’s neck is carved from one piece of wood, but manufacturers are starting to build necks with multiple pieces laminated together. The attachment of the neck to the body is a more controversial issue. Although some people insist that a traditional dovetail joint—where the neck is glued into a precisely fitted pocket on the body—leads to a better-sounding instrument, bolt-on necks have become increasingly popular on guitars in all price ranges. The bolt-on neck’s primary advantage is that it makes any future neck adjustments or resets much easier (and less expensive) than the glued-in designs. Nylon-string guitars traditionally feature a Spanish heel (where the sides are fitted into slots in the neck-block and the body is built around the neck), but many of today’s guitars feature bolt-on or dovetail designs. Ultimately, the way a guitar plays and sounds will depend as much on its setup as its design. It’s often difficult for a beginner to assess what is inherent in the design and what can be changed with a good setup, which is why it’s a good idea to bring along a more experienced friend when you’re checking out guitars. Good playability often boils down to the guitar’s action (the height of the strings off the fingerboard). Although some experienced players may prefer relatively high action, a beginning player will generally benefit from low action (ideally paired with light-gauge, or in the case of a nylon-string, low-tension strings), as it will make the guitar easier to play. The first thing to check is whether the guitar’s neck is straight. On a steel-string, a slight bow can usually be straightened by adjusting the guitar’s truss rod (which should only be done by an experienced guitar repairer), but if there are any drastic bulges at the neck-to-body joint or the neck has a pronounced ripple, find another guitar. Due to the lower string tension on nylon-string guitars, bowed necks tend to be less of a problem, but the nylon-string’s typical lack of an adjustable truss rod makes adjustments difficult should they be needed. The guitar’s saddle should fit snugly in the bridge and stick out enough that the strings pass over it at an angle. If the saddle is so low that the strings pass over the bridge in a straight line, you’ll have a problem when you adjust the action. Now start playing the guitar. Is it easy to tune? If the strings are grimy or rusty, ask the salesperson to restring it with a fresh set. Do the tuning machines turn easily and smoothly? Some guitars feature name-brand tuners such as Grovers or Schallers, but there are also many high-quality generic tuners. Check to see if the nut at the end of the fingerboard is cut correctly. 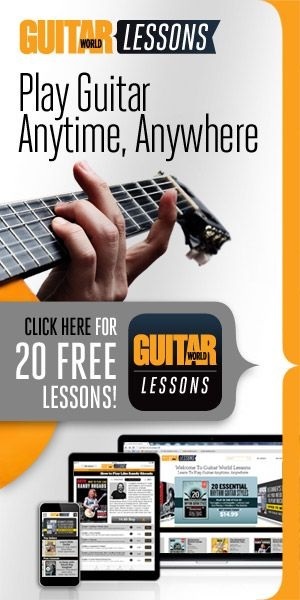 If the guitar is hard to play in first position, try putting a capo on the second fret. A properly adjusted guitar should be equally easy to play with or without a capo, so if you notice a big difference, the nut will need some work. Finally, play some single notes and chords up the neck to make sure that the frets are even and aren’t causing the strings to buzz. If the guitar has checked out positively so far, play it for a while and compare it to other models at different prices so you get an idea of where it stands in the greater scheme of things. Have someone else play the guitar so you can listen to it from a distance. You might be surprised by how different it sounds from a few feet away. If the guitar doesn’t come with a case or gig bag, try to get one thrown in as part of the deal, and make sure you leave with one. A basic case will only set you back another $30 or so, and it will make a big difference in the longevity of your new instrument.